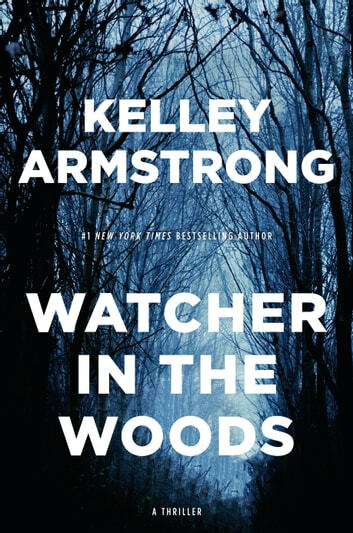 In #1 New York Times-bestselling author Kelley Armstrong's latest thriller, the town of Rockton--and her fans--are in for another hair-raising adventure. This is a fantastic book for an adult reader. Likely a older teenager would enjoy it as well but it does have some mature content. I haven't read an adult or YA book from Kelley that I haven't loved, but this book differs a bit from her norm because there are no fantasy elements. So it's a good series for someone looking to get into her books even if they aren't a fan of the fantasy genre. I highly recommend it for everyone, but especially the Canadian reader since it's fun to have the occasional mention of our culture in a fictional book. I was sad to finish this and cant wait for the next Rockton book . I really look forward to seeing how Casey and Aprils relationship evoles. Kelley Armstrong is an amazing writer. This novel follows all the rest!! Amazing! Kelley Armstrong does it again!! This book was everything I thought it would be. She wraps up everything that happened in the book yet give little clues about previous little events Casey has been contemplating in previous books while setting it up for the next book. I could put this book down!! It did not have a dull moment. Yo have to read the books in order to really understand all the hint and mysteries she lays down. l love this series and I look forward to more stories about Rockton. I love the characters and finding out more about them as the book unfolds.